Chinese Assistant Foreign Minister has encouraged six nations to revive talks regarding North Korea’s nuclear program as soon as possible, the Korea Herald reports. North Korea's nuclear reactor is thought to likely to be up and running according to a South Korean Foreign Minister, who has dismissed a US think tank's report suggesting that the Yongbyon reactor was shut down by Pyongyang. 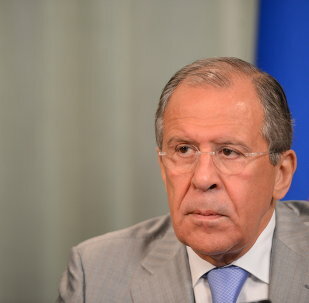 The resumption of six-party talks on North Korea’s controversial nuclear program is possible despite current difficulties, Russian Foreign Minister Sergei Lavrov said Wednesday after talks with his North Korean counterpart Ri Su Yong in Moscow. North Korea's nuclear program had been developed as a response to Washington's "hostile policy," "nuclear threats" and "stifling strategy" against the DPRK, claimed North Korea's Foreign Minister Ri Su Yong in his UN address. North Korea could be developing a new vertical launching system for submarine-launched ballistic missiles (SLBM), a South Korean Defense Ministry official said Monday. The International Atomic Energy Agency (IAEA) has detected activity at North Korea’s nuclear facility in Yongbyon, a site capable of producing plutonium for nuclear bombs, AFP reported on Friday. North Korea is expanding the operations of the Yongbyon nuclear site, renovating its reactor to make plutonium for nuclear weapons and expanding the centrifuge plant, Institute for Science and International Security (ISIS) said in a recent report. Representatives of five nations involved in the long-stalled talks on North Korea’s denuclearization are expected meet in Seoul this week, while Pyongyang, the sixth member, was “not invited,” the Yonhap news agency reported on Tuesday. North Korea is “probably restarting” a nuclear reactor capable of making weapons-grade plutonium in a step that may provoke renewed tension in the region, a US institute claimed after analyzing new satellite imagery. The United States and South Korea have mapped out a joint plan that outlines measures to deter North Korea’s nuclear threat, Yonhap news agency said Sunday citing a government source. Russian senior officials will meet North Korea’s chief nuclear negotiator in Moscow on Thursday "as part of efforts to resume the six-party talks" with Pyongyang over ending its atomic program. Senior Russian and North Korean diplomats will meet in Moscow next week to discuss the resumption of six-party talks on Pyongyang’s controversial nuclear program, the Russian Foreign Ministry’s press service said Friday. Pyongyang reiterated its commitment to the denuclearization of the Korean Peninsula on Wednesday and said it was determined to tackle the nuclear issue through negotiations. The United States will discuss North Korea's offer to hold high-level talks at a meeting with South Korean and Japanese officials in Washington this week. Russia regards reports that North Korea is willing to return to six-party talks on the denuclearization of the Korean Peninsula as a “positive development,” a senior Russian diplomat said Friday. UN Secretary General Ban Ki-moon said on Sunday he was concerned over North Korea’s latest short-range missile launches and called on Pyongyang to return to six-party talks on its controversial nuclear program. The United Nations will not recognize North Korea (DPRK) as a nuclear power in view of its recent illicit nuclear test, threats and other provocative acts, UN Secretary-General Ban Ki-moon said Wednesday. 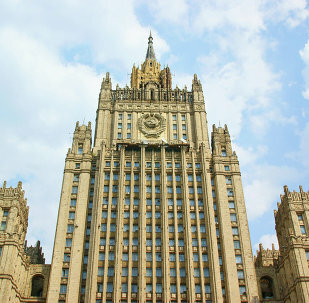 North Korea’s recent decision to reinforce its current nuclear weapons capability complicates the prospects of six-party talks on nuclear settlement in the region, the Russian Foreign Ministry said Thursday. North Korea has banned South Korean workers from entering Kaesong, a joint industrial zone, South Korean media reported Wednesday.